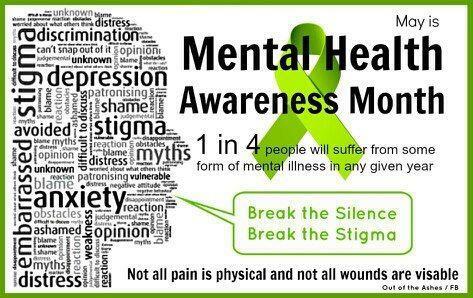 Did you know that May in Mental Health Awareness Month ? so … this is a great time to ask yourself about how much you know about mental health and if you might be holding on to some old fashioned ideas about emotional disorders or their treatment. This month will be filled with opportunities to learn more and shine light on areas that have to long been kept in the dark. It is amazing that although we live in the 21st century too many folks have ideas about emotional problems that stem from the 19th. Stay tuned to this page as I will be asking questions and providing answers about some of the more common mental health myths that need to be burst .